The "Rise of the Villains" just keeps on coming on this week's Gotham, which finally begins to build towards the epic partnership fans have been hoping for since season 1. After the finale of last week's episode marked a win for the GCPD, the worst is yet to come for Gordon (Ben McKenzie), as yet another DC Comics villain finds his way to the Fox series. Let's go ahead and discuss the latest episode of Gotham, "A Bitter Pill to Swallow". At the moment, it's unclear where the show intends on taking the Barbara (Erin Richards) storyline (anyone else fearful they'll go the amnesia route?) whenever she does awake, but it does feel as if the writers are essentially putting that character on pause for now, something many fans likely won't complain about. However, Gordon doesn't even get a chance to recover from her attempt on his life last week, as Tabitha (Jessica Lucas) goes straight to the mysterious figure credited as The Lady (Michelle Gomez) to hire an assassin to kill Gordon, in part as revenge for Barbara's injuries. That reveal adds an interesting wrinkle to Tabitha, who has been woefully underdeveloped since her introduction. Here's hoping we get more about her as this season progresses. Alas, The Lady's assassins fail to take out Gordon, and he, Barnes (Michael Chiklis) and a rookie cop wind up holed up in Theo Galavan's (James Frain) penthouse, where they were searching for further evidence to corroborate Mayor James' accusations. If Theo was really such a criminal mastermind, he would have ensured that the former mayor never knew of his involvement, but that digression aside, the setting does allow for Barnes to get his first standout moment since his grand first entrance into the GCPD several episodes back. Chiklis truly shines here, and the show wisely gives him a chance to remind Gordon that "a man might do anything" in the right circumstances. Gotham has gone to great lengths to illustrate the darkness within Gordon -- as embodied by the love triangle between him, Leslie (Morena Baccarin) and Barbara -- and his struggle to keep from crossing the line in pursuit of justice. It's a sentiment that stands at the heart of Batman lore - and considering the future Dark Knight is still too young to suit up, it makes sense that the man who will eventually become one of his closest allies has fought the same battle within himself. That being said, the tension behind Gordon's showdown with cannibal killer Eduardo Flamingo (Raúl Castillo) isn't as palpable as it should have been. Considering both characters' roles in the greater DC mythos, Gordon's decision not to kill Flamingo in cold blood was predictable. Moreover, it's disappointing from a writing standpoint that Gordon's big moment this week so closely resembles the previous episode, but at least the show addresses this head-on with Gordon's admission that he was close to shooting Barbara. Intriguingly, Gordon was far more by-the-books when he arrived in Gotham, making his transformation thus far even further validation that it is the city itself that indeed drives its citizens mad. Speaking of, the glimpse in the episode's opening moments of graffiti reading "Hahaha" is a chilling reminder that Jerome's legacy lives on. 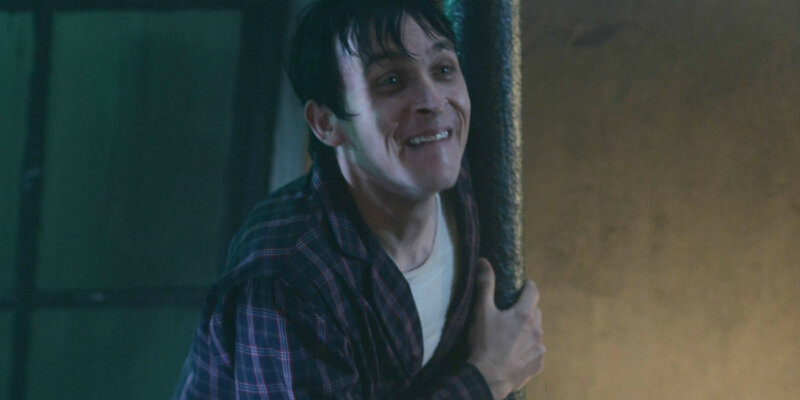 Fan-favorite Penguin (Robin Lord Taylor) reaches his most vulnerable state this week. Still reeling from his mother's death, he is lost and without purpose, ready to leave Gotham as soon as his injuries heal. After all, he spent all last season in pursuit of his now-crumbling empire, and with his only shred of humanity gone, the character finds himself at a major crossroads. Nevertheless, he fearfully awakes to Nygma (who, at this point, is so close to donning a green bowler and endless supply of question marks that he may as well adopt his famous moniker already), and the latter man soon confesses his newfound penchant for murder, revealing that he believes he and Penguin were fated to meet. 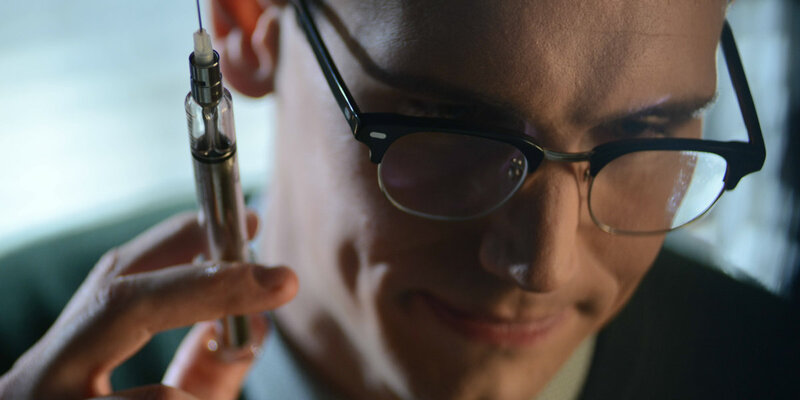 As it turns out, Nygma is so ready to pursue a life of crime that he wants Penguin to guide him along this "new path", even catching one of Galavan's lackeys as a murderous gift for Penguin. All this sets the stage for perhaps the best moment in the episode, in which Penguin and Nygma discuss their beloved Gertrude and Kristen, respectively. Nygma's assertion that Penguin's mother was ultimately his only true weakness nicely contrasts with Gordon's story this episode, as it is the compassion that criminals like these two lack that separates Gordon (and, ultimately, Batman) from the city's groundswell of budding super-villains. Still, the idea of Penguin being even more ruthless and, as Nygma puts it, "free" might make him an even more dangerous adversary when he does finally launch his revenge on the Galavans. Whenever it does happen, one can only imagine that Nygma will play an integral role, as the two are now apparently the closest of allies, preparing to murder a man together in the episode's final moments. Talk about male bonding. 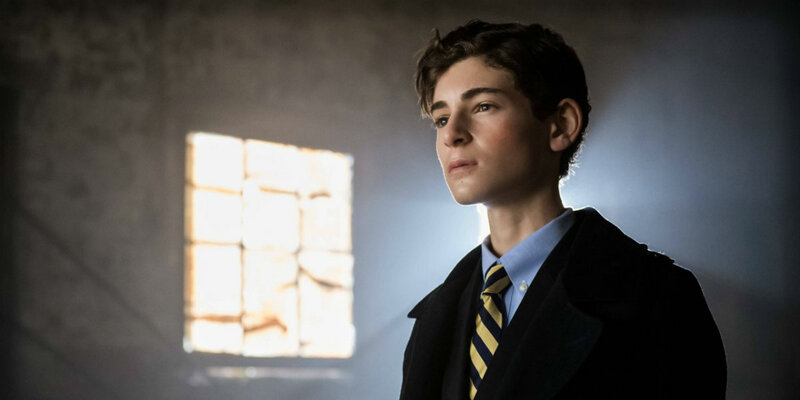 One of the most tragic elements of last week's episode was just how close Bruce (David Mazouz) got to learning the truth of his parents' deaths. Naturally, his quest for answers continues this week, though it's unclear whether or not he actually believes that the accusations against Galavan are true. In any case, Bruce is about to recruit Silver (Natalie Alyn Lind) to help him when Alfred (Sean Pertwee) bursts in and orders her to leave. For a long while, Alfred has been allowing Bruce to run things at Wayne Manor, and this week he finally took a much-needed stand against Bruce's wish to pursue whatever proof Galavan has about what happened that night. After all, Bruce's training is still in its early stages, and Alfred himself rightly points out that he just isn't "deceptive enough" yet. Of course, Alfred's wishes don't keep Bruce from attempting to sneak out to meet Silver anyway, an effort that is slyly thwarted by the butler before Bruce even has the chance to make a break for it. Gotham gets a lot of comedic and dramatic juice out of the chance to see the future Batman outwitted by Alfred at every turn - and considering just how close Bruce was to walking right into Galavan's trap last week, this particular moment is among the most satisfying of its kind to date. With any luck, whatever proof Selina has about Silver's true nature will keep this storyline rolling along and give Bruce and Selina plenty to do throughout the rest of the season. 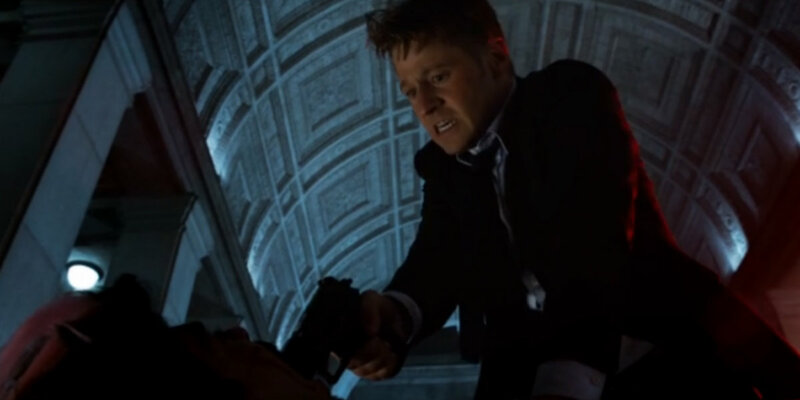 Perhaps Gotham will even resist the urge to drag out the reveal of the Waynes' killer until future seasons. Fingers crossed. What did you think of "A Bitter Pill to Swallow"? Share your thoughts on the episode in the comments section below. Gotham returns with "The Son of Gotham" next Monday at 8pm on FOX.